There’s just one trait that separates Zeus from any mortal graybeard with a gym membership: the ability to smite stuff whenever he wants. And that’s not a huge deal, right? 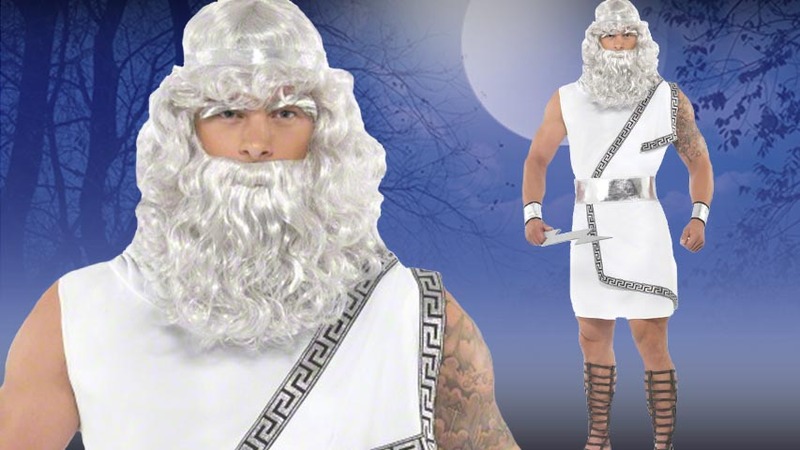 So if you want to be just like the chief god in the Greek pantheon, all you have to do is spend the next few centuries working on your godlike physique! 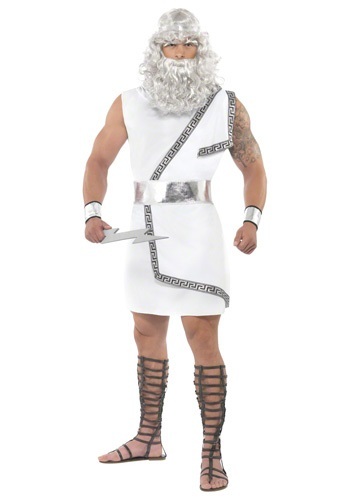 Or, if the whole lightning thing is that important to you, why not try this formidable costume combo? It includes your very own silvery bolt of electricity: just the thing for a little casual zapping! 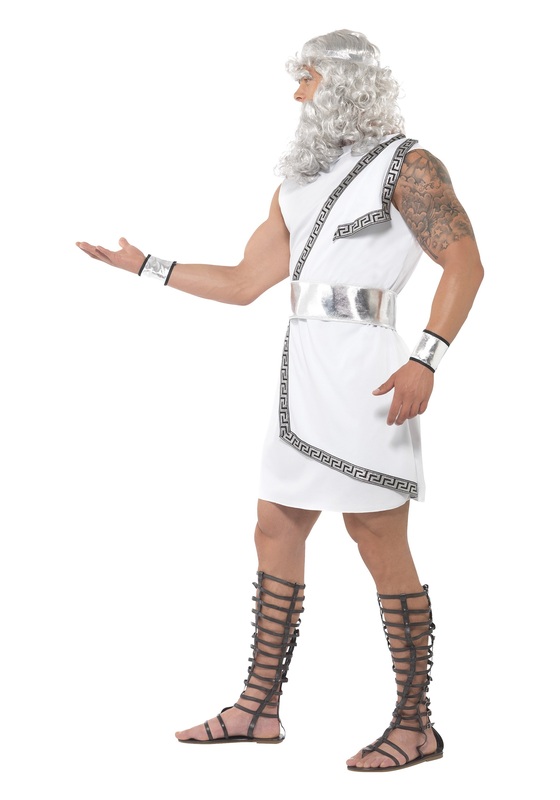 Plus, it comes with most of the other things you need to look like the flashiest deity in all of classical mythology. In fact, it’s got everything except an ancient-looking beard and a pair of sandals—which you may want, because we don’t think they’ve ever bothered to lay down plush carpet on the top of Mt. Olympus. But Zeus can go barefoot! He probably has some gnarly calluses from power walking to the Acropolis and back for his morning cardio. But why are we talking about feet when this divine outfit is going to make you feel like you’re crackling with energy? You’re pretty much going to be living Benjamin Franklin’s weirdest, wildest dreams! So get ready to fill some Leyden jars and cook some craniums. Of course, we hope you’ll always smile down benevolently upon your humble servants here at HalloweenCostumes. We’d really like to keep our brains un-stewed!